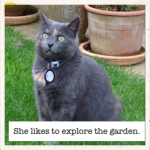 This is a simple free app that allows a mouth and speech to be added to a photograph. The photograph can chosen from those already on the camera roll or taken in the app. Take or choose the photo. Use your finger to add the ‘mouth’ to the photo. Use the microphone button to record up to 30 seconds of speech – a clock ticks down to show how much time is left. Text, frames or stickers can be added next. The talking photo is saved in the app (in gallery) or you can email it, save to camera roll or add to YouTube. There is a version of the app called ChatterKids. In this version of the app there is no opportunity to share, making it safer for use by children. The talking picture can be saved onto the camera roll. I came across the app ‘Post it Plus’ by accident. 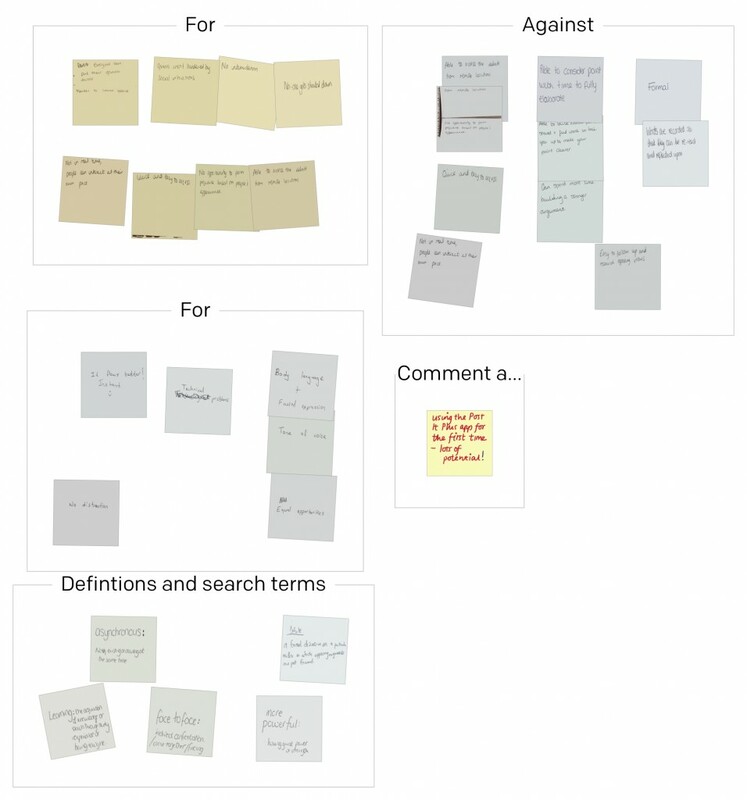 I often use post its as a teaching tool with groups of students, asking them to write ideas on post its and then move them around into themes or rank order. 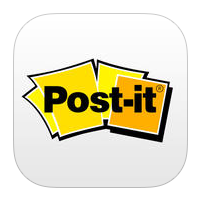 Since I had my ipad I have sometimes photographed these – but the Post It Plus app is a more flexible and versatile way of doing this. 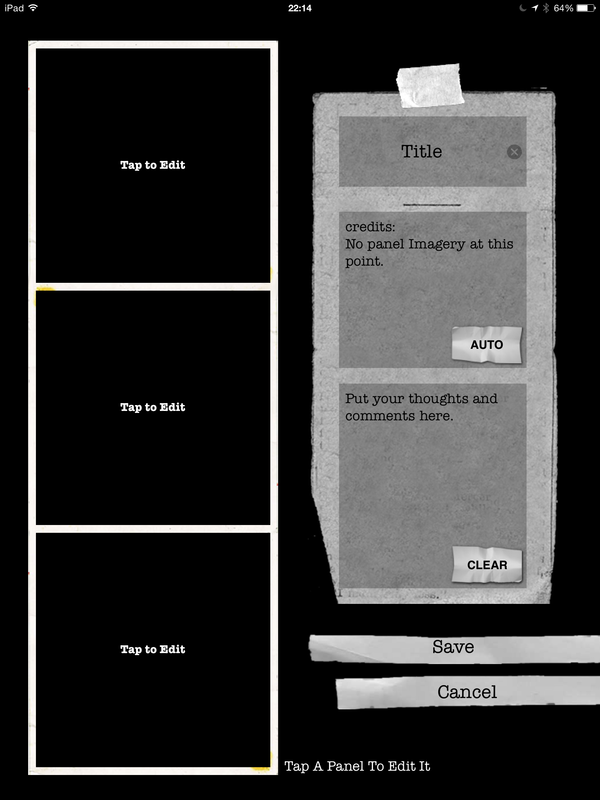 When you open the app it allows you to take a photograph of a group of post its. To do this you hold down the capture icon. Green lines appear around the post its that have been captured and if there are any that do not have a green line, you can touch these and the green line will appear around them so that all the post its are present. You then touch ‘create board’ and the image is saved. I usually take groups of post its and end up with maybe four or five boards to record an activity. After this you can move the boards on top of each other to make them all into one, you can name each group and the bigger group, add additional post its and write onto them and the board. You can read more about the app here. Cost – £2.29 in the Apple appstore. There are some useful video tutorials available at the link above and some help pages within the app. So far I have used Explain Everything in three different ways. 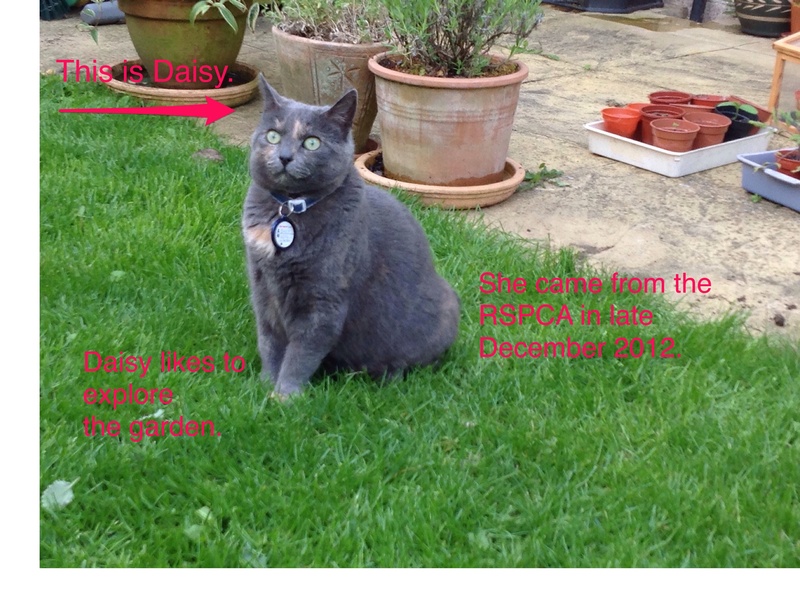 I have made a presentation that consists of a sequence of slides that I have added spoken commentary to. This was to introduce an assignment to students and remind them of where the supporting resources are. It was useful to be able to record the commentary with each slide and it was very easy to stop and rerecord small sections without having to record the whole thing in one go. I have also narrated a short guide for students showing them how to get from the opening page of a NILE module to their discussion board and then how to access and use the discussion board. It was so useful to be able to click on the sequence links and show students where to click and what to expect live in the website. Finally I have used it construct two page by page views of collaborative sketchbooks that I have been working on this year. I was able to add the sequence of photos, add annotations and export the presentation to YouTube, Dropbox, imovie and ibooks and email it to myself. I would like to have added music but couldn’t quite work out how to do this. I think this app has got a huge amount of potential for use with and by students and I am looking forward to exploring it further. 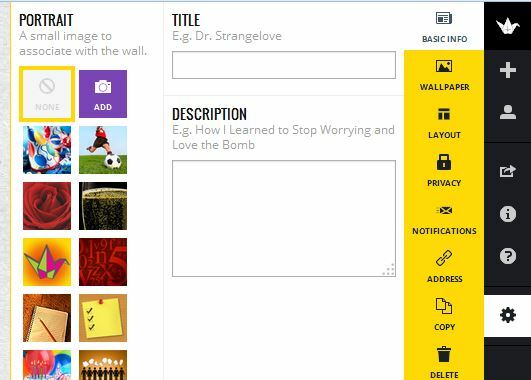 Padlet allows you to set up a space or ‘wall’ that you and others can add text, pictures and links to immediately. You can see these pop up on the screen and you can share or download the contents of the Padlet wall. Click the ‘create new padlet’ label or the + on the right hand list. This will create your new padlet wall. You can then give your wall a title and description using the daisy wheel symbol at the bottom of the list on the right. When you click on this symbol you have other options too. You can add an image and a background (wallpaper) to the wall and choose whether the layout will be free form, a stream or a grid. You can copy the wall if you want to use the same wall with different groups of people. You can make the wall private, password protected or public depending on your requirements. When you click on the arrow symbol this gives you various options to share the padlet wall so that others can add to it. As you can see you can email the link or share it using social media. 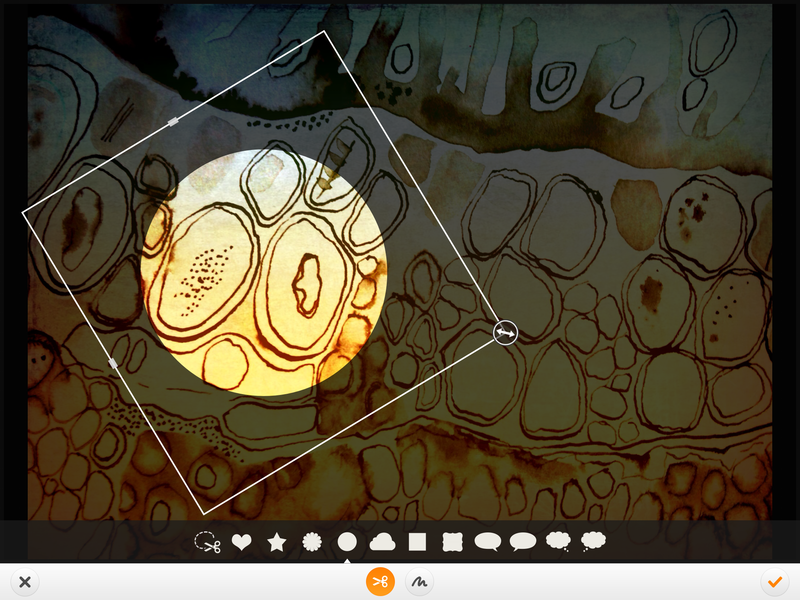 Why use a Padlet wall? You can use this tool to ask pupils or students in a class or people in an audience to contribute comments, ideas, recommendations in the form of text, pictures and links. It can be useful to collect views after an event or experience. When the wall is complete you can download it as a PDF. If you use Padlet walls please share links and ideas in the comments section. Account – with your email address or sign in using Facebook. Pinterest describes pins as visual bookmarks – images that you collect and save or ‘pin’ to boards. 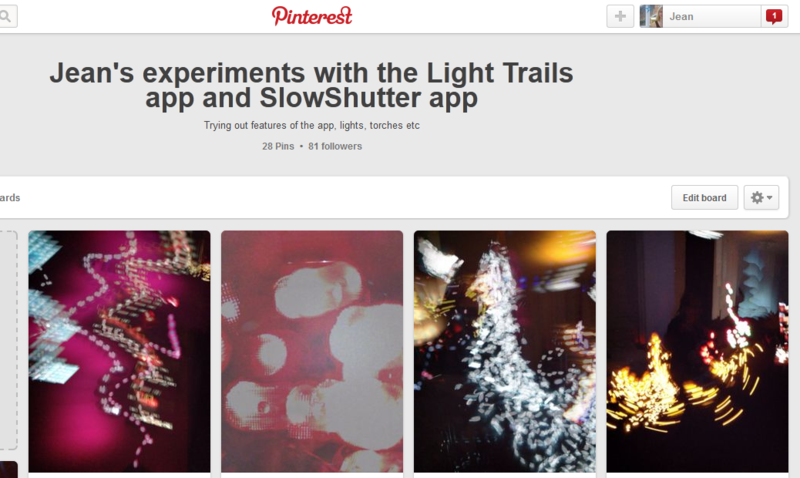 You can browse and search the pins of other Pinterest users and pin them to your boards. Images might be your own photos and those taken by others, images collected from the internet and other sources. When you choose a pin and add it you have to name or label it and it is important to note the source of the image so that you can acknowledge the person who originally made it, unless you made or took it yourself. You can collect your pins onto boards that you create, title and share, keep secret or use as a group. 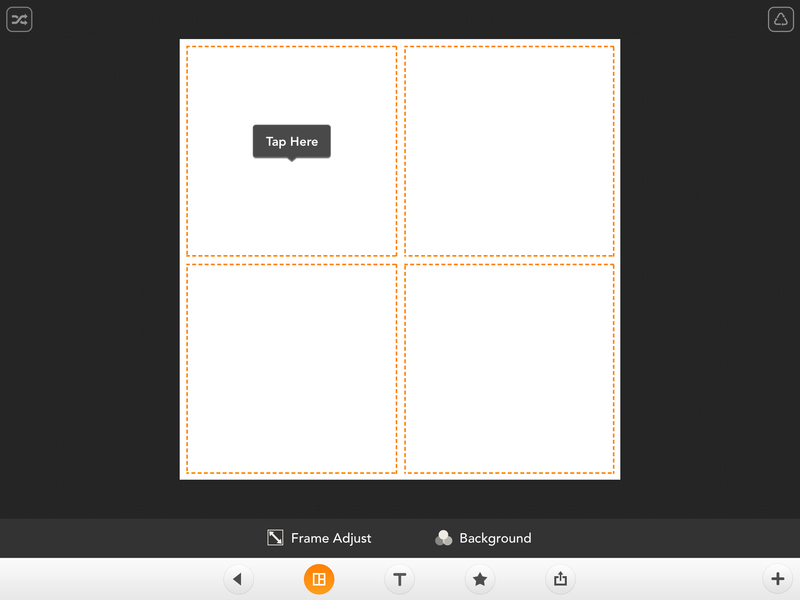 Have a look at the help pages above to explore how to create secret and shared boards. 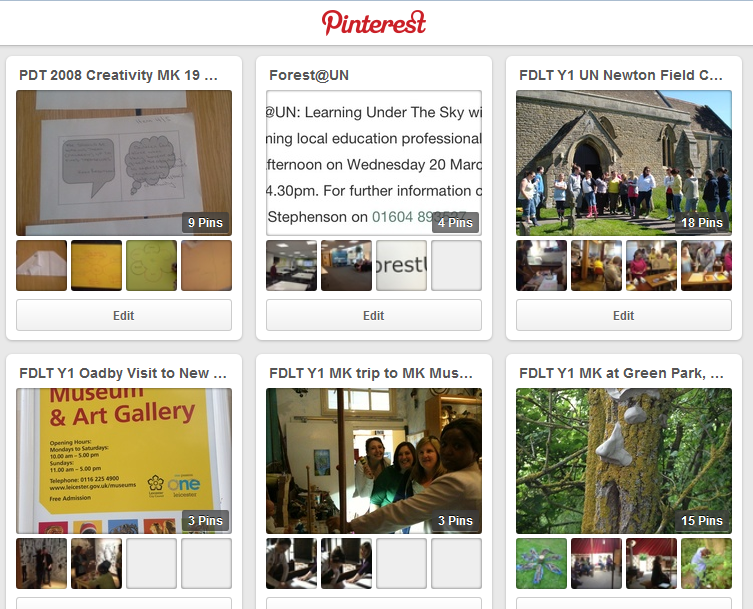 Boards are the way you group your pins around themes related to an idea, interest, event or subject. You can follow the boards of other users that interest you. 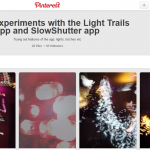 You can choose to follow other Pinterest users who pin on themes of interest to you and other users can follow you. You can also follow specific boards made by other users. Pinterest can support learning and teaching in a variety of ways both in the classroom and as part of your preparation for support or teaching. 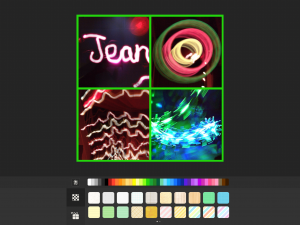 You can collect images around a theme to support learning in a subject or lesson. When starting a unit of work on portraits in art or history you might collect some examples that you want to use in your teaching. You can label these with questions, information or suggestions. 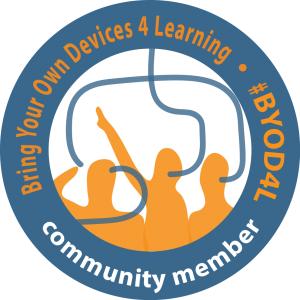 You can pin photos of learning outcomes from a group of pupils or students and these can be shared with the pupils or students and their parents or other interested people – other teaching assistants and teachers. Pinterest is a great tool for research. 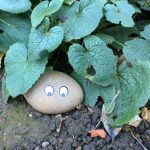 There are many teaching resources and ideas already pinned there that can give you ideas or spark off your own ideas for supporting learning. You can search using keywords and phrases to find these and then either follow the boards or users you find or collect the pins you choose onto a board of your own. If you are on Pinterest do add your name and link to the comments below so we can enjoy and learn from your boards. ThingLink is a way of creating and sharing interactive images. You can create an account and log in or log in with Facebook. How to make a ThingLink. 1. Collect or take some images and then upload them on the ThingLink website or app. These might be around a theme that you are teaching; say something about you or be based around an event you are organising or have taken part in. It could be one image, or you could use Pic Collage or Moldiv to make an image with several pictures. 2. When you have made the image you can then attach tags. 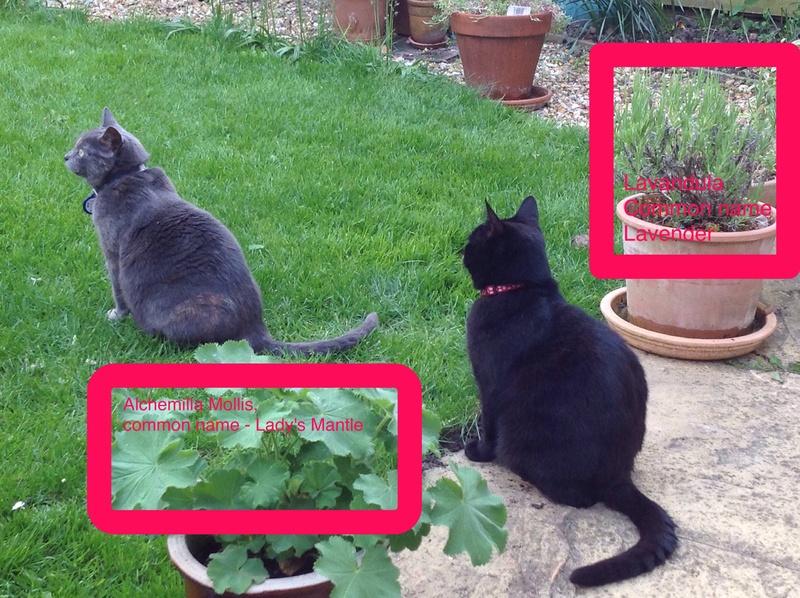 These can be placed anywhere on the image – somewhere specific or at random depending on your aim for the use of the ThingLink. The tag pattern and colour can be changed by clicking on the tag shape in the box on the left. Copy and past a link into the bar at the top of the box on the left. Add some text. You might do both of these or just add text. You can attach as many tags as you wish. You can then share it with other people using the link you are given and using social media such as Twitter and Facebook. 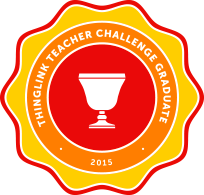 What can I do with ThingLink? I made a ThingLink to share links about the First World War with some groups of students so that they could research aspects of it using links I had had chosen. With children this could be a way of focusing them on some links you know will be useful to their classroom learning or homework. You can explore this example below. 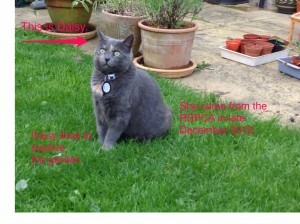 I also made a ThingLink using photos of some field visits made with students. 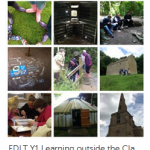 This ThingLink incorporated within in it links to research about outdoor learning that tutors wanted to share with the groups. With children this approach could be used to set challenges or investigations after a visit or event, or share supporting information with parents. 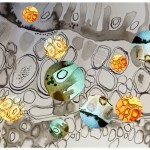 This ThingLink contains links related to handwriting. This is another example of using it to share a range of sources of information – it could be useful to help staff prepare for a training session or explain issues to parents / governors. 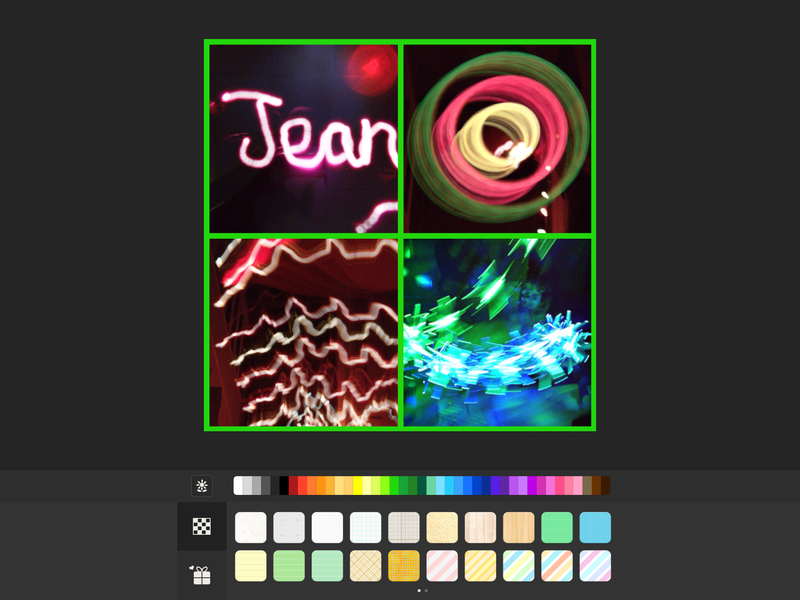 I think there could be some scope for using ThingLink to attach questions, prompts and suggestions for children. Adding a range of comprehension questions to a page from a book perhaps. If you have any useful or interesting ideas please add them using the comments section. 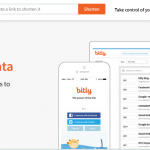 Bitly allows you to create a short link and assign a name to it. You can use it online here. It is also available as an app on the iphone and ipad. When you come across a very long link copy it and open bitly. Paste the long link into the ‘shorten’ box at the top of the bitly page. A short link is created that is much easier to use and share. In addition a long link can be both shortened and renamed when you are logged into to your bitly account. 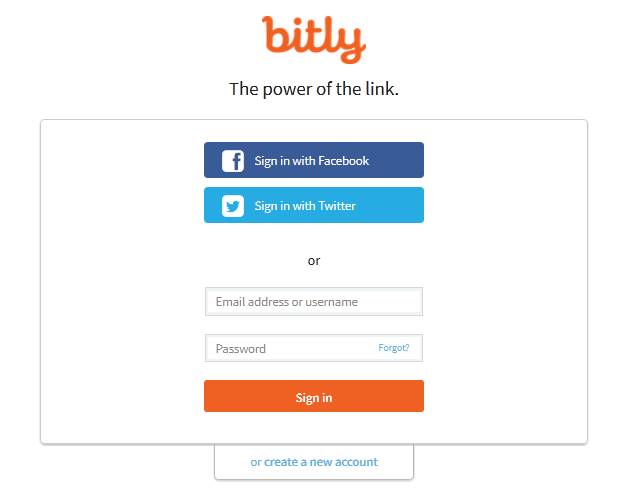 You can sign into bitly using existing accounts such as Facebook or Twitter or you can create a separate bitly account. When you are signed in you can customise the names of your shortlinks as above. 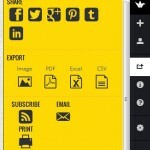 This tool makes the collection, organisation and sharing of groups of links easy. it is especially useful in the module PDT 3003 Debates to prevent long links widening the discussion board screen. 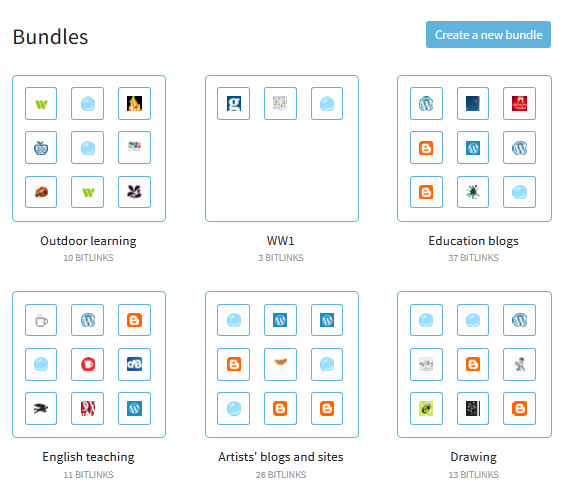 If you have made an interesting bitly bundle please share it as a comment below. To group and show photos in various formats and layouts browse through to see which layout you want – there are eighty free frames to choose from. Touch the one you want to use. It will open larger and allow you to tap to choose photos from your gallery or take photos. 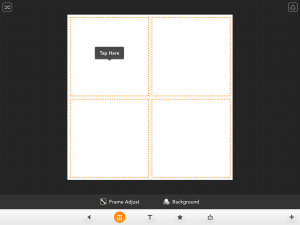 The box where your photo will go is indicated by an orange fill. This might be important if your photos or images need to be a specific position or order. When all your boxes are filled touch the tick on the right. 1. frame adjust – this allows you to adjust the size and part of the photos and move the frame lines around, as well as adjust the width of the frame lines and borders and round the corners. 2. background – this allows you adjust the colour of the frame using block colours, patterns and grid paper. 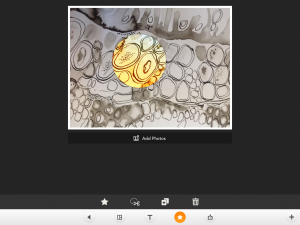 In addition to this the T allows you to add text, the star allows you to add stamps and the scissors take you to the ‘stitch’ part of the app – more about this later. Collage is useful for teachers and TAs when grouping together linked photos such as the record of a visit, event or outcomes of a lesson in one block. It can also be used to show the development of one learner’s work in one image or the outcomes of many students’ work in one image. Learners can choose and group their own photos or images they have collected to represent a word, a feeling, an experience or some learning. 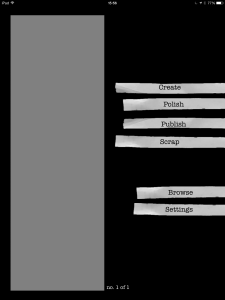 To use the ‘stitch’ part of the app touch ‘stitch’ on the opening screen. This allows you to choose a photo from your camera roll by touching it – this will be your background, you can cut from other photos and place them onto it. Touch the tick on the right to begin to stitch. Touch the star to open and then touch the scissors – this will open your camera roll again so you can choose a photos from which to cut. Precut shapes can be chosen and resized. 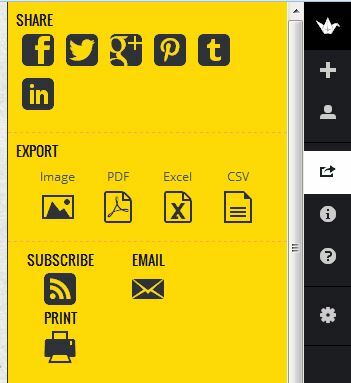 Touch the tick to cut and then move and resize what you have cut on your background image. Alternatively touch the scissors to cut a shape of your own. Touch the plus button to copy another of the highlighted cut out. 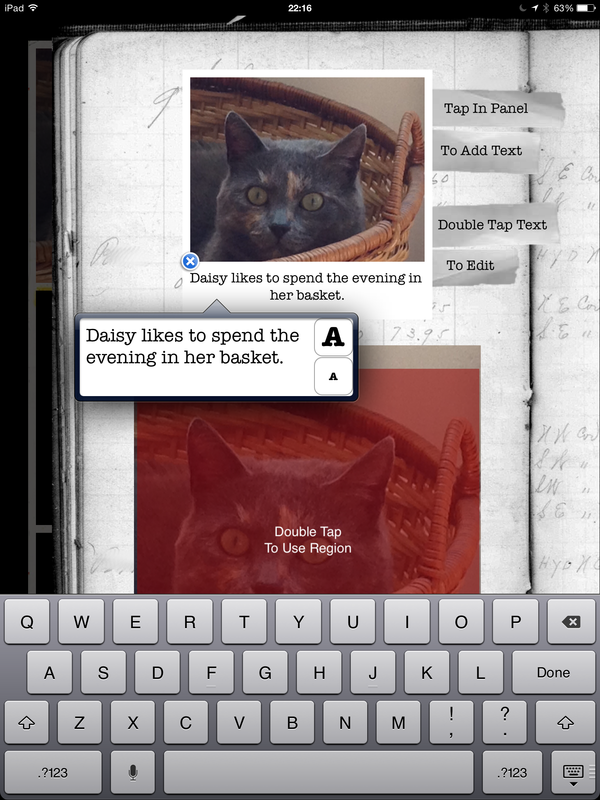 This part of the app can be useful for constructing collections of images for learners to use. It can also be used for making collage art on the screen and choosing and cutting parts from an image and enlarging them to work on further. It can be useful to think about the background and the elements that you will want to place onto it before beginning.Once saved any images can be further manipulated by using in other apps, such as by opening in Brushes and drawing onto or opening in distressedfx or SnapSeed to add effects. At any point the photo frame can be downloaded to the camera roll, opened in other apps, shared through Twitter, Facebook, Tumblr and Flickr. 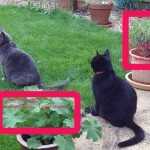 Skitch is an iphone / ipad / Android app that allows you to annotate photos or images with text, arrows and highlights. It is also available to use on a computer (Windows or Mac). Skitch can be used as a way of adding words, captions and sentences to images found or taken by the learner. Write descriptive sentences about can be seen in the image. 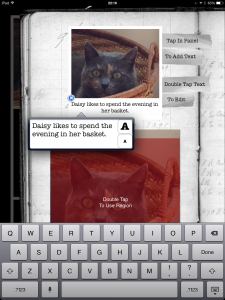 Annotate an image with questions. Annotate an image with descriptive words to later use in writing about setting, character etc (a way of developing a word bank). Label a diagram or photo using boxes or arrows. Use labelling to teach, learn, extend subject specific vocabulary. 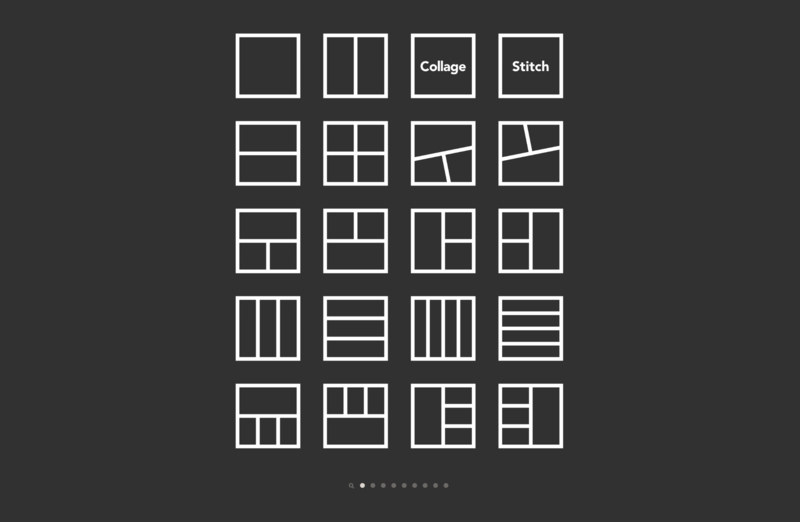 Use as a visual word bank. 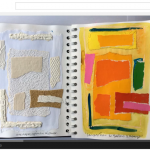 Use as a way of noting thoughts or description on a visit – immediate reaction. 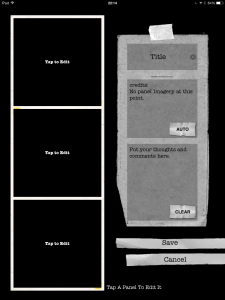 Visual Poet is an app that allows you to take or choose a series of three photos and label each of them with some text as a caption. 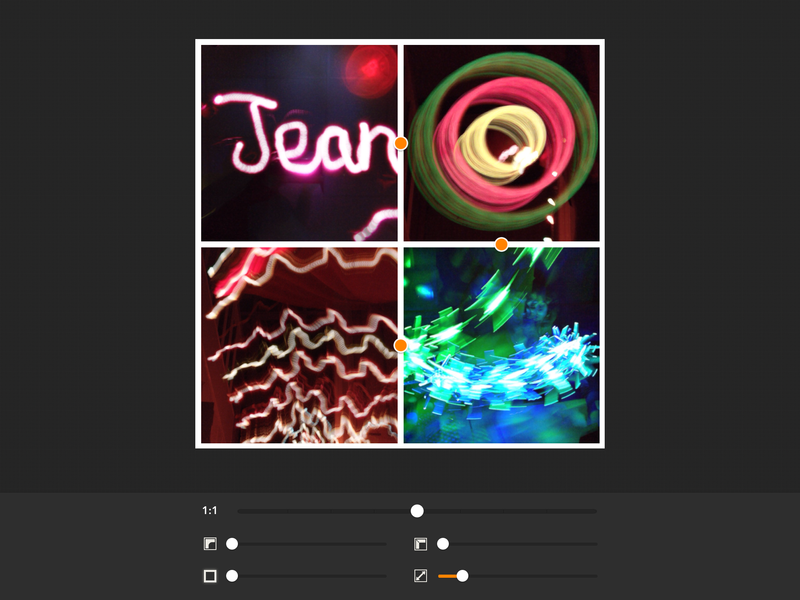 Create – touch ‘create’ to get to the screen where you can add or take three photos. Do this by touching the photo where it says ‘tap to edit’. 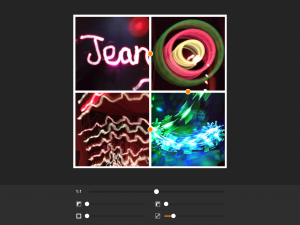 This opens a page where you can choose a photo from your photo library, from Tumblr, from Flickr or from Google. When you have chosen a photo you use the red box to place the image and choose the photo by double tapping. 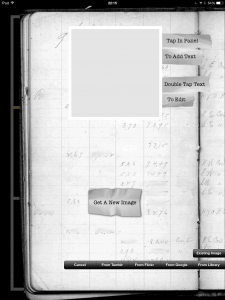 On this screen you can also add a title, credits for the images and comments or notes. To add text tap in the top box and this opens a text box for you to type into. To go back to the main page scroll across like turning the page of a book. Polish – touch ‘polish’ to to edit the title, credits and comments. Publish – touch ‘publish’ to email the poem to yourself or someone else. Scrap – touch scrap to start again. 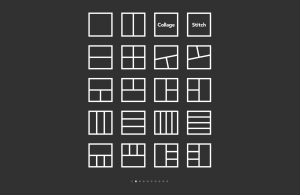 Browse – allows you see all your Visual Poems. Settings – allows you to log into Tumblr. This app can be used in variety of learning activities allowing learners to use both images and text to record their thoughts, responses, descriptions or questions. Give learners three words and ask them to find three images to match, and put each word into a sentence relating to the image. Use three images and three sentences to tell a short story. Use three images and three descriptive sentences to describe a story character. Ask learners to choose three photos they have taken on a visit or at an event and annotate them with what they have learned. Give learners lines of poetry, similes or metaphors and ask them to find images to illustrate them. Ask learners to choose a key part of a story from the beginning, the middle and the end for their sequence. Ask learners to suggest three different endings for a story in their sequence.